Is there a better alternative to MDB Explorer? 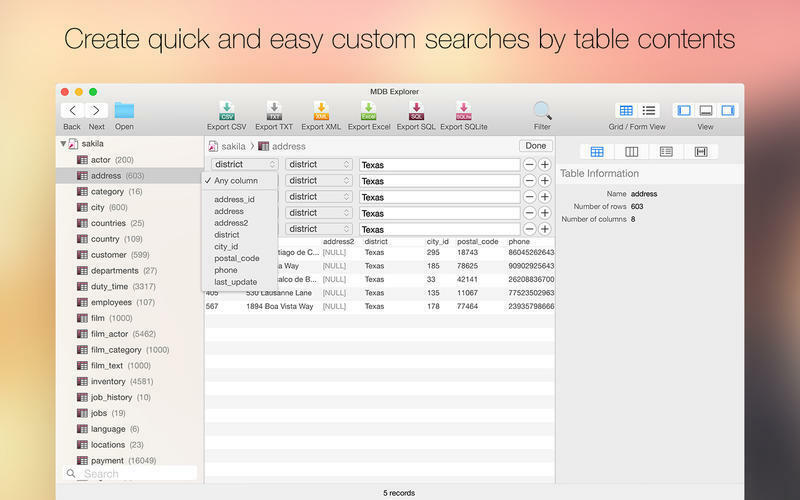 Is MDB Explorer really the best app in Applications category? Will MDB Explorer work good on macOS 10.13.4? 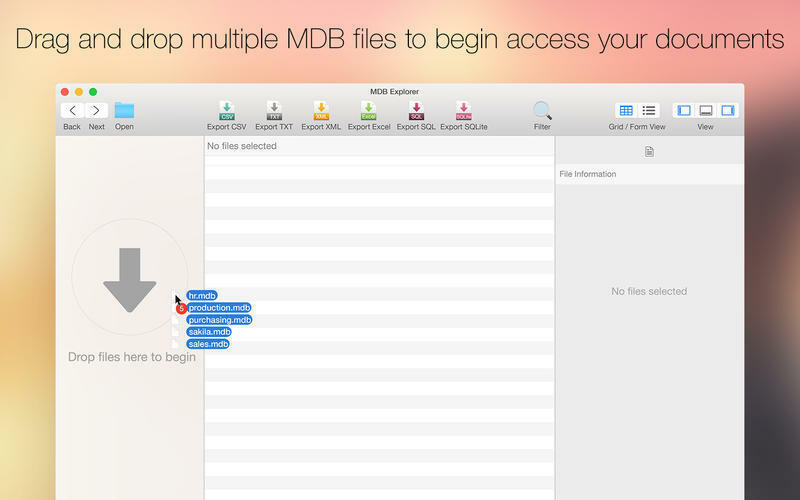 MDB Explorer is a tool designed to provide a quick and easy way to view MDB files without an Access license. This application can be used to open tables from multiple access databases, having table structure described in term of column and relation. 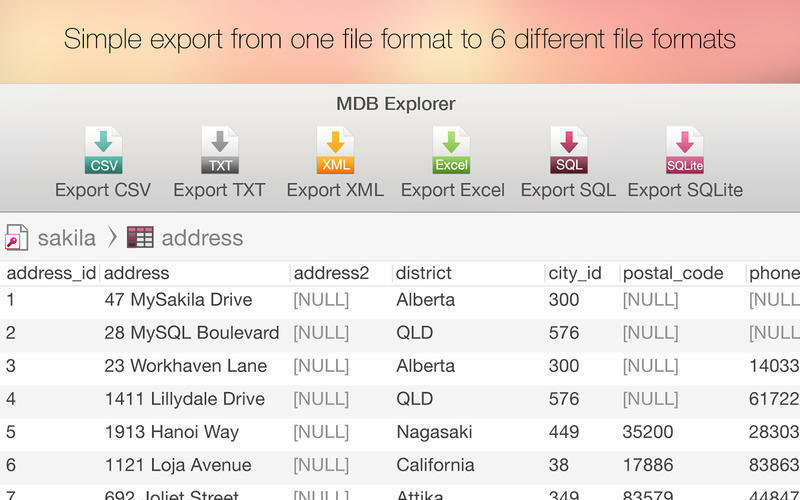 Using MDB Explorer, you can effortlessly export data into the most popular formats including SQLite, CSV, TXT, XML and XLS. In addition, you can generate SQL file that is compatible with popular database systems like MySQL, PostgreSQL, Oracle, SQLite and SQL Server. Note: The downloadable demo is version 2.4.4; the version available for purchase on the Mac App Store is version 2.4.7. MDB Explorer needs a rating. Be the first to rate this app and get the discussion started! 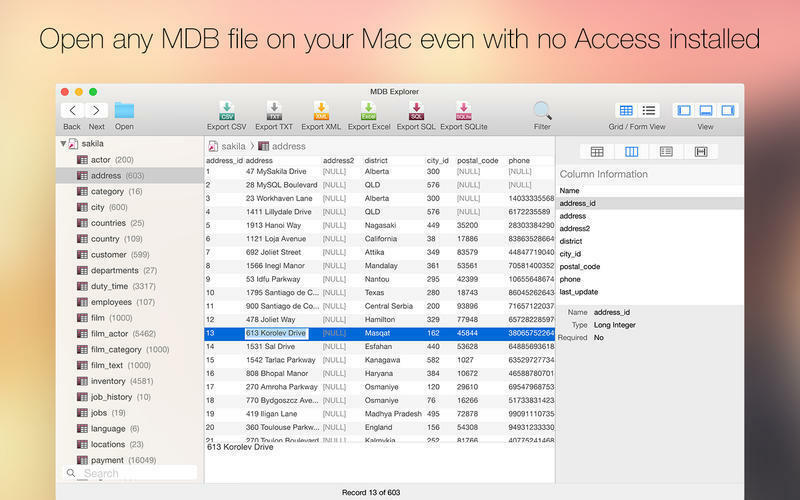 Note: MDB Explorer supports Access 97-2003 (.mdb) file formats. It is designed for viewing and exporting tables only. It cannot be used to modify the database. Access 2007-2013 (.accdb) file format support is now available as an In-App Purchase option.